MainAll NewsUS & CanadaDemocratic Chair Stumped: Are We Socialist? Democratic Chair Stumped: Are We Socialist? Representative Debbie Wasserman-Schultz (D-FL), the chair of the Democratic National Committee (DNC), was truly stumped on Thursday when asked on national TV what the difference was between her party and socialism. In an interview with MSNBC host Chris Matthews in which the openly socialist Democratic presidential candidate Bernie Sanders was brought up, she was asked, "what is the difference between a Democrat and a socialist?" 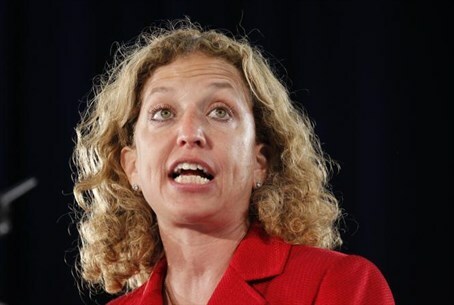 The stammering Wasserman-Schultz was pressed by Matthews, who said, "I used to think there was a big difference. What do you think?" The DNC chair quickly tried to sidestep the issue, saying, "the real question is what’s the difference between being a Democrat and being a Republican." But her host sought clarification about the Democratic party, asking, "you’re the chairwoman of the Democratic Party. Tell me the difference between you and a socialist." "The relevant debate that we’ll be having over the course of this campaign is what’s the difference between being a Democrat and being a Republican," Wasserman-Schultz reiterated, refusing to give a direct answer to the question. The topic came up after Wasserman-Schultz said that Senator Bernie Sanders (I-VT) would be given a slot to speak at the Democratic convention. She said Sanders' "progressive, populist message" of socialism was welcome, calling him "a good Democrat." At that point Matthews asked what the difference was between a Democrat and socialist, to the great consternation of his interviewee. Sanders is competing with Democratic presidential candidate Hillary Clinton, and has been enjoying a large amount of support from Democrats. A Gallup poll in June found the Democratic party is leaning sharply more to the left as compared to 15 years ago, finding 47% of Democrats and Democratic-leaning independents identify as both socially liberal and economically moderate or liberal. That figure was only 39% in 2008, and 30% in 2001. In a negative sign for Democrats given Wasserman-Schultz's stammering response, another June Gallup poll found that 50% of Americans said they would not vote for a socialist, making it the demographic group with the least support. The same poll found that over 90% of Americans said they would vote for a candidate who is Catholic, a woman, black, Hispanic or Jewish.